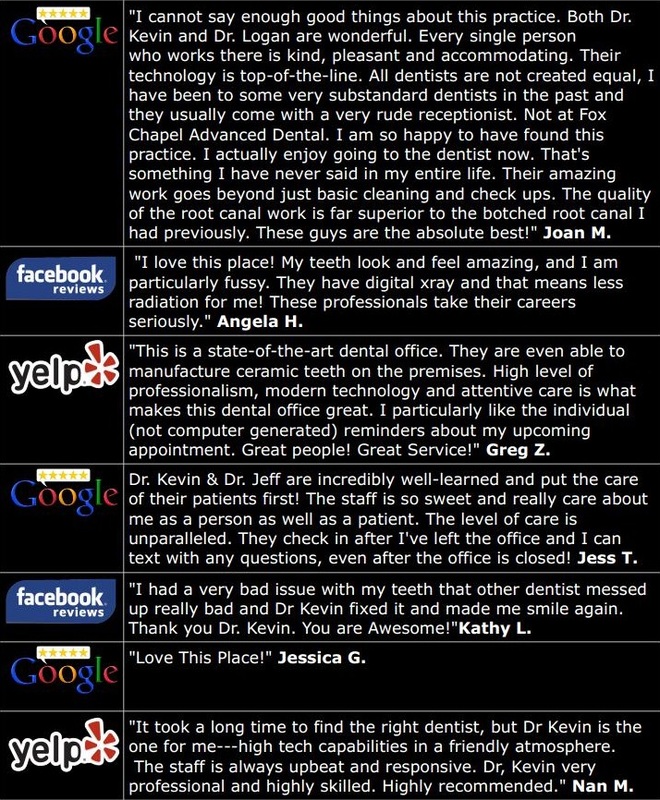 I've been going to Fox Chapel Advanced Dental Care since 2008. I travel 4 hours across the state to come to this dental practice because I know it's the best, most up-to-date, technologically advanced dental practice around and I trust their work. I've had routine teeth cleanings, fillings and crowns performed here with no issues. Not only are the staff friendly and personable, but they go the extra mile for their patients. I had a 3D X-ray performed during my last routine teeth cleaning and they brought to my attention that there was something concerning in my sinuses. They sent my X-rays to a radiologist for review and contacted me with the results in the same week. Turns out that in addition to needing my wisdom teeth removed, I have a rapidly growing cyst in my sinuses that will require surgery to remove and biopsy the tissue. They put me in contact with several oral surgeons in my area and communicated directly with the oral surgeon I chose regarding the results of my X-rays so my issue could be taken care of as soon as possible. 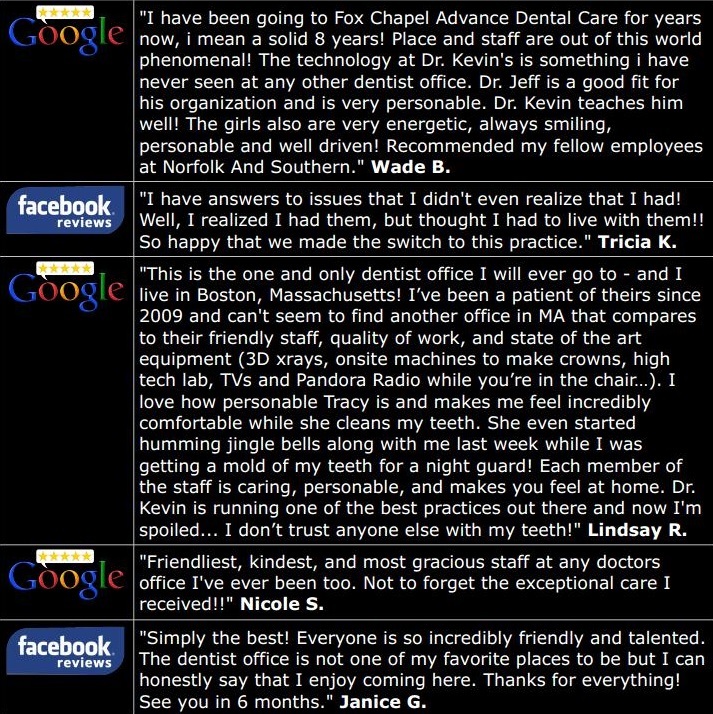 I have no doubt that you'd be in good hands at Fox Chapel Advanced Dental Care!